We cut out all the guess work and tell you the best camera for travel in 2019 as part of our Ultimate Photography Series. Choosing the best camera for travel photography doesn’t need to be overwhelming! Updated to include the best travel cameras in 2019. One of the best souvenirs you can bring home from your travels is photographs. As the old saying goes, pictures are worth a thousand words, and nothing brings back the excitement and thrill of holiday memories quite like looking back at your photos. People say, “It’s not the camera that takes good photos, it’s the photographer”, and this is completely true. And while there’s a reason pros don’t use low quality equipment, for the majority of travellers there’s no need to spend a lot of money on the best camera to travel with. Luckily today the best cameras for travelling don’t necessarily come at a high price, and with upgrades in technology comes portability as well. We’ve been working as professional photographers for 3 years now, and have done all the research necessary to help you find the best camera for travel. We’ve also published another piece in our Ultimate Photography Series – all about the Best Camera Accessories on the market. Whether you are a beginner, intermediate or professional, or even if you know nothing at all, we’ll help you make the right choice. We have personally used every single camera on this list. We’re not telling you to go out and buy something just because it sounds good. We’ve researched, studied and put these good travel cameras to the test. So grab a coffee, kick back and learn all about the best cameras for travel. Are you on Instagram? Follow us on there to see examples of our work while we travel the world as professional travel photographers. No matter what level you are, the first piece of kit you are going to need to buy is the camera. This can range from a smartphone to a cheap point-and-shoot right up to a top-of-the-line DSLR that can cost as much as a small car. A quick visit to a camera store can leave you feeling completely overwhelmed with all the choices. So what is the best camera for travelling, and where should you start? Keep on scrolling to find detailed information about each of these, and why they really are the best cameras for travel. The first thing you will need to do is decide what your goals are with your travel photography. Do you just want to get some snaps to look back at now and then and maybe upload them to social media? Are you going to try and document as much of your trip as possible? Keen on video? Thinking about getting serious and taking your photography to the next level? It’s totally up to you. 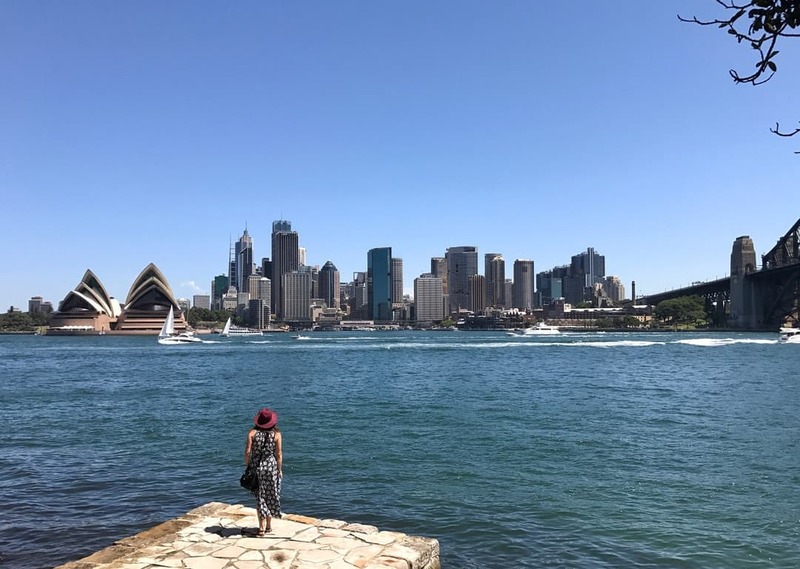 But one thing we will say is that once you start capturing some great photos and learning about the basics of travel photography, it gets very addictive. Remember, if you think that perhaps one day you will really get into photography it can sometimes be better to get a camera that is better so you can grow into it. Rather than buying a new camera every trip, save money in the long run by spending a bit more of your budget upfront. On the other hand, there’s no point buying the best camera for travel photography if you’re never going to use it to its full potential. Only you will know whether it is something you are going to want to pursue later down the track. These days a good smartphone takes incredible photos! When they first came out they were great for portability, and keeping in touch, and that’s about it. But now even the pros are publishing shots from their phone and they’re quickly becoming the best small cameras for travel you can buy. For the last few years we’ve always used dedicated cameras that give us a range of lens options and manual settings. But just recently we picked up an iPhone 8 Plus and have been blown away with the images we get out of it! So much so that we’ve actually started leaving our pro camera behind now and then! Another great photography saying is that the best camera is the one you have with you. There’s no point having $20k worth of gear if it’s sitting at home and you miss a great photographic opportunity. With a smartphone you are more likely to have your camera on you at all times, and they are discreet enough that you can use them in markets, in churches or just about anywhere. Our advice is that if you are going to be focusing on getting the greatest photos and video possible, get the latest smartphone like the iPhone X series, the Samsung Galaxy S9 or the Oppo R11s. They really are the perfect travel accessory and worth spending money on. Otherwise any of the older models work fine (we’ve seen some great footage coming from the iPhone 6 as well). Shot on our iPhone 7 Plus. We recommend the iPhone XS for one main reason – it’s far and away the best smartphone camera ever developed on an Apple phone. The new dual camera lens system on the back boasts 12mp of pure goodness, and with one wide and one tele lens, it’s guaranteed to help you get more and more creative with your shots. The Smart HDR feature has an enormous amount of depth and contrast, and it’s almost getting to the point where most travellers would be happy with just this phone to capture their holiday moments. The portrait mode creates some stunning bokeh in the background, bringing a level of near-professionalism to those people and pet pics you’re bound to take. And of course it captures burst (never miss a moment again), shoots video in 4K and has exposure and focus lock. Personally we believe that this should be your first choice for choosing the best camera for travel. Action cameras have come a long way since we bought our first one back in 2010. They used to be reserved just for people who were into extreme sports – skiing, skydiving, motocross, scuba diving, etc. Now they have become one of the top travel cameras on the market thanks to their durability, compact size and high quality. The good ones shoot in 4K video, are completely waterproof and even come with wifi remotes so you can take great photos from any angle. You can also shoot time lapse photography, which is great if you’re catching an epic sunrise or particularly busy urban scene. Even if you are not interested in jumping off of cliffs or mountain biking through a jungle, having an action camera is still a brilliant accessory to have to play around with. They are especially awesome if you’re looking for the best cameras for adventure travel. Capturing the epic Thingyan Water Festival in Myanmar on our GoPro. The undisputed king of action sports cameras is GoPro, and we’ve been proudly using them for over 7 years. These epic cameras have insane image quality and shoot some remarkable video. They’re also extremely durable, waterproof and fit in your pocket. Adding to the GoPro series is a huge range of accessories that makes getting footage limited by only your imagination. Check out our brand new GoPro Hero 7 Black review! Different mounts allow you to put them just about anywhere, extension poles get unique angles (perfect for selfies), you can stick a GoPro on a tripod and there are even filters available. We’ve had just about every GoPro camera since the original HERO was released, and we’re super excited to share that the newest one on the market is by far the best ever. The latest camera is the GoPro HERO7, following hot off the heels of the successful HERO6, and it’s risen the bar once again. The team have introduced a whole bunch of new features that really need to seen to be believed. 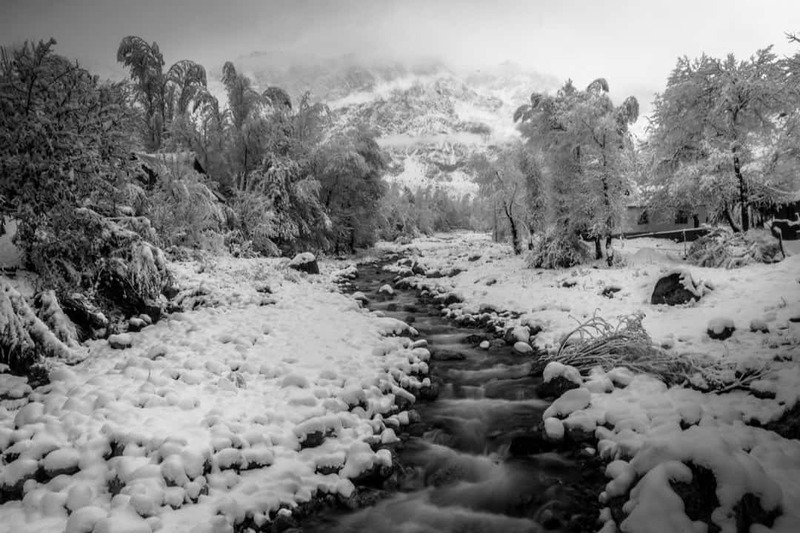 For the photographers out there there is now a new ‘SuperPhoto’ format, which is like HDR shots on steroids. We didn’t really think it’d be that great, but it really improves your JPEG shots to the point that they barely need editing. For the purists out there, it still shoots in RAW format (awesome! ), is voice activated and the entire unit is waterproof, meaning there is no need for its bulky casing anymore. You can even set a timer to shoot SuperPhoto and RAW, meaning you don’t need to change to time lapse mode. Also the night photography mode on it is really awesome. Who would have thought you could capture light trails and the Milky Way on such a tiny camera?! For the video guys out there the HERO7 claims to be a gimbal killer. What does that mean? It means they’ve introduced HyperSmooth! We had low expectations for this, but after testing it around Canada and New York City we’re truly blown away! You can seriously just hit record and walk around, and it looks like you’re using an external stabiliser. Crazy! And it works at 4K at 60FPS. Want slow motion? How does 1080P at 240FPS sound? Buttery smooth, that’s for sure. it shoots 4K at 60FPS, and even cooler it now shoots 1080p at 240FPS! Slow motion anyone? There’s a couple of different versions of this camera, but we only recommend the Black, as you’ll get all of the best features, and maintain the front screen, which we believe is essential. If you want a dedicated camera that is cheap and still takes decent photos then you really are spoiled for choice. We’ve personally owned a whole range of different brands in this range, from Canon to Fuji to Olympus to Sony, and with the way the market is now if you’re not fussy about brand you get, then you can’t really go wrong. But let us explain what you’ll need. You’ll basically be looking for a small point and shoot, something that is foolproof and most importantly quite durable. Having a lot of zoom is a big bonus so you can crop right in on different scenes. The ability to use manual settings will come in handy if you ever want to play around and learn a bit more about how photography works. And you want something affordable so that you want be overly worried if you lose it (just make sure you backup your photos). The Canon SX720HS was a hugely successful compact camera, and Canon backed it up with the amazing SX740HS. This great little camera does it all, and for the price it is the best travel zoom camera out there. 40x optical zoom, manual settings, shoots in 4K video, good colour grading and comes in a very small body. It also has wifi so you can transfer photos straight to your phone or laptop without plugging it in, or control the camera from your phone. Perfect for the general traveller who just wants something to take decent photos with on their trip. It also has a large articulated screen, so you can angle your shots perfectly, whether you’re shooting from the ground or above the head. A few more updates over the SX730HS is an improved sensor, meaning better low light capabilities, and faster burst shooting. This is the next level up. You still want the portability and benefits of having a point and shoot, but you want to take incredible photos too. You’re interested in learning about the fundamentals of photography, and perhaps want to one day print your photos or maybe put them up online. Ultimately you’re after the best pocket camera for travel. Here are the things you’ll need: Full manual settings, a decent size sensor, zoom (although not overly important), high quality video, articulating screen (so you can shoot from different angles while still framing your shot), ability to shoot in RAW format, good ISO performance and a wide aperture. 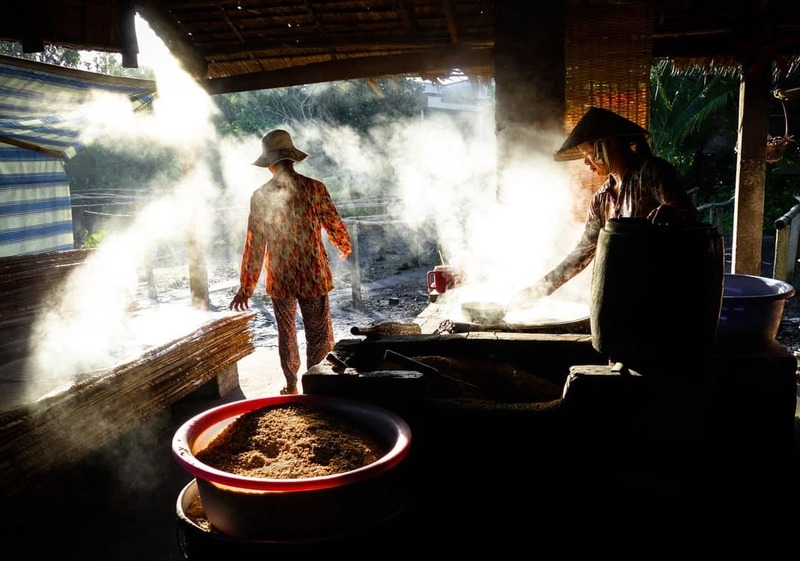 Ladies steaming grain in Vietnam. Shot on our Sony RX100ii. This is, in our opinion, the best point and shoot camera for travel on the market. It does everything you’ll ever need it to do and has incredible image quality. If you ever want to get into vlogging as well, this is an excellent option. We have the Sony RX100iii, and while it’s quite a few years old now it’s still epic. All the photos taken in this article we wrote for BuzzFeed were taken on this camera. That’s right – we sold our photos that were taken on a small point and shoot camera to one of the biggest websites in the world! Now it has even longer zoom (8.6x optical, up from 3.6x optical, that’s like having a 24-200mm lens), an amazing 20mp one-inch sensor to capture huge dynamic range, high quality 4K video and an articulating screen. It’s an expensive camera, yes, but if you want the absolute best quality on the market in small, compact unit that fits in your pocket, this is the best travel camera out right now. *HOT TIP* If you want a camera that is not only excellent for still shots, but makes for a great vlogging camera (see below), then this is the camera you’re going to want to get. Vlogging is the newest craze, and it’s quite literally taking over as the new digital media of choice for many travellers and influencers. If making videos is more your style instead of taking photos, then you’re going to want to look at a camera that has a range of specific features. Most importantly is the ability to shoot in 4K (even if not many people have 4K monitors today, in a few years it will be common and you’re going to want to have footage to match the current standard). Once you’ve got this another handy feature is an articulated LCD screen that can face you while you’re talking in the lens. This allows you to frame your shot instead of cutting off half your head. Lastly you’ll want a microphone jack to catch better audio. For the longest time we used to recommend the DJI Osmo, but in terms of pure practicality and quality you can’t beat the Canon G7X Mark 2 as the best vlogging camera for travel on the market. Shooting in excellent quality 1080p, the camera also boasts in-built image stabilisation, a 20mp sensor for stills, beautiful colour grading and awesome durability. The screen flips up so you can look at yourself (great for keeping your face in the frame) and it’s incredibly intuitive. For travel vlogging, this is your go-to camera. NOTE – Keep an eye out for the rumoured up-and-coming Canon G7Xiii! You’ve broken out of the realm of standard point and shoots, and you’re looking for a camera that has interchangeable lenses. You’re getting into the idea of shooting wide, or perhaps portrait shots. Maybe you really would like to get a longer zoom. Most of all, you really want to get serious about photography. In your kit will be a range of lenses for a range of situations. You can look at getting filters to give beautiful effects on your shots. You might even want to start growing your photography portfolio. A few years ago everyone would have recommended you to get an entry level DSLR. This is no longer the case. With the way mirrorless technology has gone DSLRs are losing traction and popularity. Now you can get something with the same image quality for half the size. 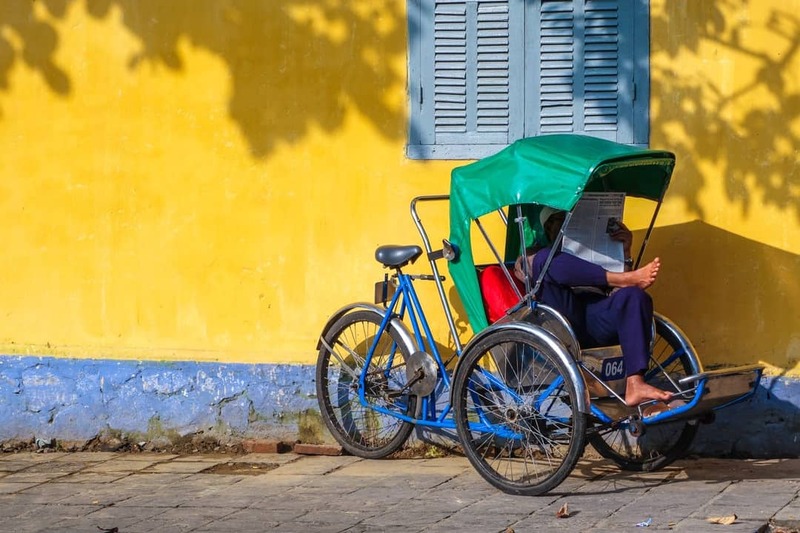 A rickshaw driver relaxing in Vietnam. A DSLR (digital single lens reflex) works by having a mirror inside the camera. When you are looking through the viewfinder the mirror is down, covering the sensor, and you are looking at a reflected scene. When you push the shutter the mirror flips up mechanically, allowing the image to be exposed onto the sensor, and then onto your SD card. All these moving parts take up room, hence why DSLRs are larger in size. With mirrorless cameras there are no moving parts inside. The image comes through the lens and directly onto the sensor. The viewfinder is electronic, meaning you are seeing a digital copy of what your pointing the camera at, rather than a live view. So without a mirror constantly flipping, the camera can be made a lot smaller. That’s why mirrorless cameras can be half the size of a DSLR. When mirrorless cameras first came out the quality wasn’t that great. Now they are just about on par with DSLRs, and the portability means that they are the best cameras for travel photography! Have a read of this article for more information. 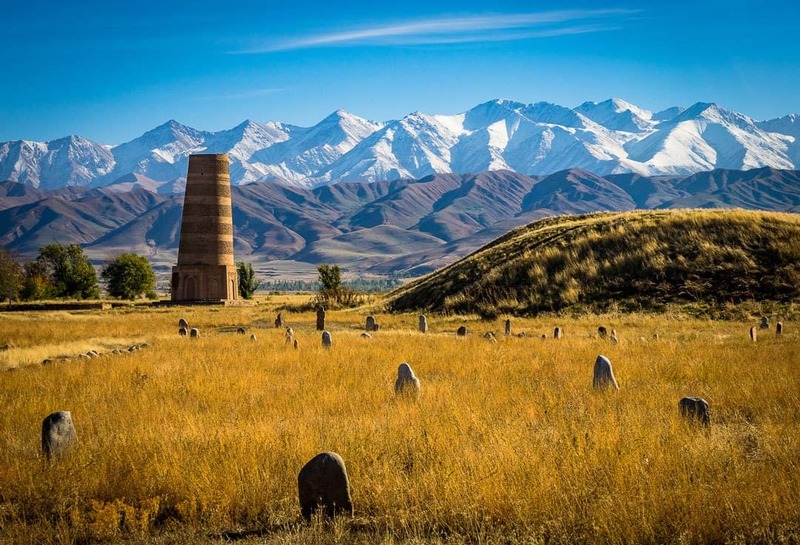 The Burana Tower in Kyrgyzstan. The Sony A6300 is an absolute powerhouse and puts up a good fight for being the ultimate travel camera. In fact we’re just going to come out right now and say it – the Sony A6300 is the best camera for travel abroad available! We recently picked up this little powerhouse, and have quickly fallen in love it. We’re using it mainly for vlogging, but more and more we’re feeling happy snapping shots with this one rather than pulling out our Sony A7ii or changing lenses. The Sony A6XXX series have continuously improved their autofocus capabilities, and today have the fastest AF on the market. They’re very small, have a great selection of lenses available and have phenomenal image quality. The Sony A6300 has now been superseded by the new A6500, and this too is an excellent camera with inbuilt 5-axis image stabilisation and a touch screen. But we recommend the A6300 because it is cheaper and still fantastic. If you want the latest camera then you can buy it here as part of a bundle, or look at buying the body on its own and picking your lenses to suit your needs. If both of these are out of your budget, but you still want to go down the Sony Alpha mirrorless system (and you definitely should), then the Sony A6000 is still a solid camera! You can really get away with the standard lenses that come in most kits, but there are a couple of exceptions that you could splurge out for. All Sony E mount lenses will fit onto the Sony A6XXX series (including the spectacular full frame range, with a crop factor). So if you are ever considering an upgrade to full frame and want to buy some new lenses for your APS-C sensor, you can fork out the money early and still use your lenses later on. The kit lens for the Sony A6300 is the 16-50mm F3.5-5.6 zoom, and for an entry-level piece of glass it does the job. Many travel photographers could get away with just this one, but if you are into more specialised travel photography then you’ll want to check out these great options. There’s really only one option in this range, and it’s the brilliant 10-18mm F4. To this day one of the best photos we’ve seen taken of the Petronas Towers was taken with a Sony A6000 (older model) and this lens. The Sony 50mm F1.8 is a great choice for a native portrait lens. It’s light, fast and cheap. The quality is decent without being amazing, but it definitely does a wonderful job for what you pay for. Otherwise step up to the FE 55mm F1.8 (read about it below), although this will give you a 85mm perspective on the APS-C sensor. Keeping with the affordable and light range that makes for great travel camera lenses, we recommend the Sony 55-210mm f/4.5-6.3. For the amateur and hobbyist photographer this will do just about everything you need, and is a solid lens to have in your kit. Found a couple of shiny buildings in Kuala Lumpur, #Malaysia. Standing 452m tall, when the Petronas Twin Towers were built they were the highest structures in the world. Now that honour has been surpassed but that doesn't stop thousands of people every year from gazing up and admiring this architectural wonder. 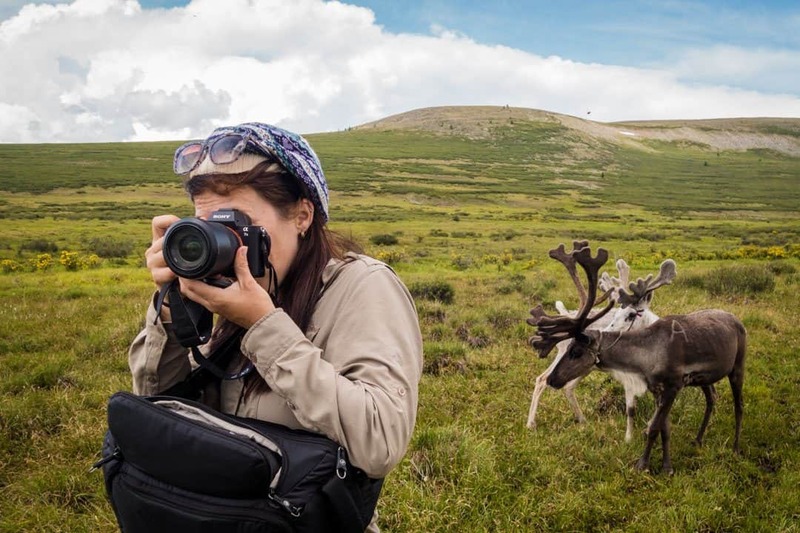 If you’re like us and want to make capturing the absolute best images of your travels a priority, then you’ll be looking at a professional range of travel cameras. Following on from the discussion on mirrorless vs DSLR, you’ll get many professional photographers who choose to stick to cameras like the Canon 6D or 5D series, or the Nikon D750 or D810. These are legendary cameras in the industry, and with the enormous range of lenses available for each one, there’s a reason the best in the business use them. But, we’re talking about the best camera for travel. And for this, we recommended sticking to mirrorless. Full frame DSLRs are big and heavy, whereas their equivalent in mirrorless are a fraction of the size. If you have decided you want to take the leap to a full frame sensor and want to be rocking the best mirrorless camera for travel, then you have only two choices. One of the very first photos we took with our new Sony A7Riii. Shot on a 16-35mm lens at North Narrabeen. At the moment Sony is the only camera maker that produces a full frame mirrorless system, and oh boy do they do a good job at it! The Sony A7 series are almost flawless. Fantastic image quality, 4K video capabilities (on the A7R, A7S and the new A7iii), articulating LCD screens, wifi, light, compact and a whole range of native lenses available for it make them the absolute best cameras for travelling. And with the Metabones adaptors you can even use your old Canon, Nikon, Sigma, Samyang or other type of lenses on it. As of 2018 Sony have now announced the three new models in their series – the A9, the A7Riii and the A7iii. And holy damn, they are a huge upgrade! We just bought the latest and greatest Sony A7Riii, which some say is the best professional camera on the market, and all we can say is that we’re blown away! The image quality is superb and the dynamic range is insane. The low light capabilities are also amazing. We cranked up the ISO to 12800 to see how it would handle, and there was barely any noise in the shot. So far we haven’t tested the video quality on it, but reports say that it’s awesome. We’ll let you know in the near future once we check it out. For the longest time we also used a Sony A7ii, which we absolutely loved. But it was sadly time for us to sell it, and as of a few weeks ago we have also added the A7iii to our arsenal! So how do we like it? In a word – it’s incredible! Wondering about the other new cameras Sony have announced? 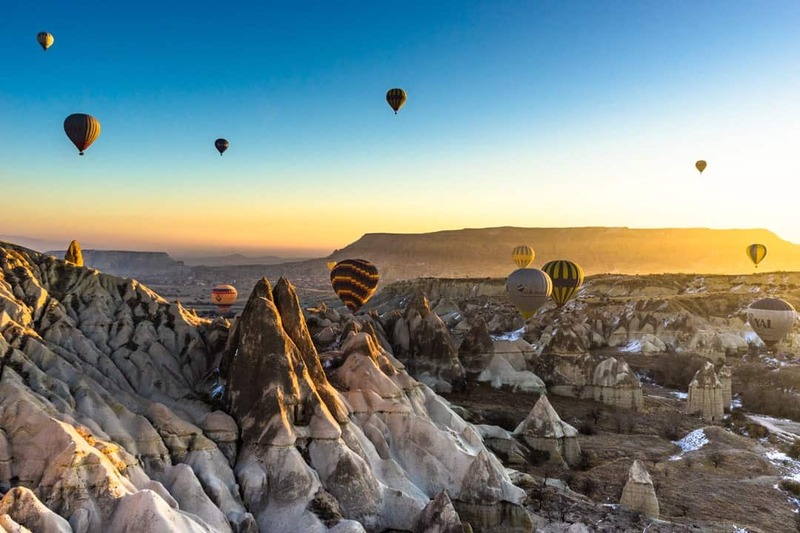 The A9 is more of a wedding and sports photography camera with an insanely high burst rate, but for the best travel camera for professionals the A7iii and A7Riii are the ones to look at. We personally recommend you go for the A7iii, as it’s just damn near perfect. 4K video, a lightning fast autofocus system (arguably the fastest on the market now), joystick control, touch screen, faster processor, upgraded sensor and an amazing battery life. If you’re the kind of person that loves to blow up their images for print, or does a lot of cropping when you edit your shots, then that’s when you’ll want to step up to the A7Riii, as it has a 42mp sensor. It really is the best camera to buy for travel photography. If you’re going for the Sony A7 series, we’ve got some bad news for you. Full frame lenses are expensive. But if you’re considering turning your photography hobby into a profession, then this is a small sacrifice to make for the quality of photos you’ll be taking. Trust us, if you’re buying the best camera for travel photography on the market, you’ll want to also have the best lenses to go with it. The great thing with the Sony A7 series is that their lenses are all interchangeable, meaning if you start out with a Sony A6300 and eventually upgrade to a Sony A7, you can take your old lenses and put them on the new camera (but it will have a crop factor). The standard kit lens with the Sony A7ii is the decent 28-70mm F3.5/5.6. For a kit lens it’s pretty good, but if you are getting serious about your shots you’re going to want to add to your collection pretty quickly. The new FE 24-105mm f4 lens from Sony is pretty much the best all round travel zoom lens for photography. It’s damn sharp, and with a constant aperture of f4 it means you can get excellent bokeh and decent low-light performance at any focal length. It has only just come out and shipments are still rolling through from the factories, but if you can get your hands on one of these you’ll be stoked. For landscapes and architecture you can’t beat the FE 16-35mm F4. This is our personal favourite, and we use it more than any other lens. Sony have released the 16-35mm f2.8, and if the reviews are anything to go by this is an absolute beast! Pretty much every review on photography sites points to this being one of the best wide angle lenses out there. It’s not cheap, at around US$2199, but to have such a fast and wide native lens for the Sony set up is pretty epic! If you are into portrait or street photography make sure you get the FE 55mm F1.8 prime lens. It’s very fast, very light and very sharp. And with such a good value, it may be the best prime lens that Sony makes (excluding the high-end GM series). For the longest time we never had a telephoto lens because they are just too big and bulky. But with some big upcoming photography projects we have we bit the bullet and bought the Sony FE 70-200 F4 zoom lens. We won’t lie – it’s awesome. The constant F4 aperture isn’t as fast as the new 70-200mm F2.8 that Sony released at the end of 2017, but it is half the price and takes some absolutely fantastic photos! Alesha smelling flowers. Shot on our Sony A7ii with 70-200mm lens. Aerial photography has gained in popularity over the last two years, and it’s easy to see why. Not that long ago the only way to get photos from the sky was by taking a chartered flight or helicopter. But today just about anyone can go out, buy a drone and start taking shots from very unique angles. The appeal is obvious. Capturing epic photos and video of landscapes from a perspective that few have ever seen before. From the moment we bought our drone we fell in love with it. Good drones up until now have always been quite prohibitive when it comes to travel due to their bulky size. The DJI Phantom series helped make it more accessible for most people, but even then it was still a commitment to travel with one. Today the best drone for travel has finally been determined. Sunrise over Pai in Thailand – captured on our DJI Phantom 4 drone. UPDATE – On August 23rd 2018 DJI announced the newest drones in their phenomenal Mavic lineup: The Mavic 2 Pro and Mavic 2 Zoom. This cements the series as the best drones for travel on the market. When the DJI Mavic Pro was announced in October 2016, it shook up the entire drone industry. Here was a foldable drone with a 4K video camera on a mechanical gimbal attached to it. When folded up it quite literally fits in the palm of your hand! Remarkable! In 2017 DJI then announced the Spark, which opened the door for people who were wanting to buy the best drone for travel but not necessarily into professional quality images and video. However we need to be honest: The Spark seemed like more of a toy than a camera you would be happy take on the road with you. The new Mavic 2 Pro and Mavic 2 Zoom have hit the streets and reports are they are phenomenal. The Mavic 2 Pro is now equipped with a 1-inch Hasselblad camera, which has finally upped the quality of stills you can get to a near-professional level. The Mavic 2 Zoom comes with an optical zoom feature, which allows you to get closer to the action while maintaining safe distance, and add a new creative flair to your photography and videography. Both of them have an upgraded processor, 360-degree camera obstacle avoidance and a whole bunch of other wonderful features. They handle high winds pretty well (although not quite as good as the DJI Phantom 4), take excellent video and photos and has a good battery life of over 30 minutes. If you don’t already have a travel drone, then this is the perfect introduction to this amazing aerial world. The Mavic 2 Pro has the better camera, and that alone makes it perfect for aspiring pros out there. But for those that don’t need the larger sensor, the Zoom is arguably the option. It’s also cheaper, so you can put your savings towards other accessories like filters. Back to what we said before – the best camera is the one you have with you. And with the DJI Mavic 2 series being as small as they are, you’ll be more likely to take it with you on your next trip. It really is the best drone for travel on the market! Note – With whatever drone you buy we highly recommend buying extra batteries. You’ll be surprised how quickly you chew through these. Check out the bundle packages from DJI (called ‘Fly More’ on the Mavics). With virtual reality becoming more and more popular, it might be no surprise that one of the best travel cameras for 2017 is actually a 360 degree camera! These incredible little devices come with multiple cameras on one piece, managing to capture an entire scene in one shot in both photos and high definition video. When they first came out they were very poor quality, but now they’ve improved enough that we actually travel with one full-time now. We had been playing around with an Insta360, which is made by a company out of China. We have to admit, it was fun, but really it felt kind of gimmicky and the quality was real low. Fine for social media, but that’s about it. We shot our ‘kayaking in Antarctica’ 360 vid on it, and you can see what we mean. But recently we got our hands on the new GoPro Fusion, the action camera industry leader’s 360 cam, and wow what an improvement! It’s absolutely phenomenal, and not only does it capture a 360 shot using two cameras on the front and back, but you can really push the visuals in the editing software it comes with. You can do way more than the over-saturated ‘Little Planet’ shots that you see everywhere now. You can change the pitch, yaw, field of view and angles to get the view you desire. The pics are captured on two SD cards (one for each camera) at 18mp. It also shoots video at 5.2K, which is insane. We’ve found ourselves using this camera way more than we ever did with the Insta360. Bring a whole new perspective to your travels with this camera! That concludes our list of the best cameras for travelling. Let us know if you have any other recommendations, or if you use any of these cameras while travelling the world! What do you think is the best camera for travel? Disclaimer: Some of the links in this article are affiliate links. That means that if you buy any of the items through our links we will receive a small commission, at no extra cost to you. This helps cover some of the costs of running this website. We only recommend items that we have personally used and like and stand by our suggestions. And if you use any of these links for your purchases, we will love you forever! This is by far one of the best full frame DSLRs that your money can buy (Canon EOS 6D 20.2 MP CMOS Digital SLR Camera). I’ve owned it now for a year and don’t regret picking it instead of the 5d Mark III. I have 90% of the features of the mark iii and saved a pretty penny. Just purchased the A7Riii and quite literally cant wait for it to arrive! Also booked myself onto a quick photography refresher course. Thanks for all the helpful information Alesha and Jarryd! Thanks for the insightful article. Your selected cameras were too good. This blog is unique. I just love it! Sony A7Riii is the most interesting one. Thank you so much. We have the A7Riii now and it is amazing. It is not cheap but the quality of the images is sensational. We highly recommend it. Thanks Alesha And Jarryd for putting together this in-depth guide. It’s very helpful. I’ve been using a GoPro 7 for a couple of months for my travel photos but not loving it. the footage is all but uneditable in my adobe premiere pro. not sure why….looking for resolution for this issue. Hi Paul, not too sure why it would do that. We have had no problem pulling ours up in Final Cut Pro. Have you contacted GoPro about the issue? They would be better and will be able to help you. I hope you find a resolution. I’m looking for a compact camera, I use Canon 77D usually but it’s getting bulky and heavy. I’ve researched some of the cameras you’ve listed but most compact ones lack the mic input. What would you recommend for that? I need good video stabilization, mic input, flip up screen and good autofocus. The price isn’t such a concern. Hi, we once had a Sony A6300 and it had a mic input. We loved videoing on that and it video quality was in 4K. The stabilisation was not too good but the stabilisation in the model up (A6500) is so much better. We wish we got that. We have had some experience with Sony cameras so we can comment on that. 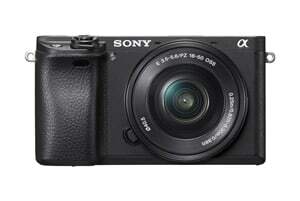 If you would like more compact check out the Sony RX100 v (think 6 is out now). All the best and happy shopping. Your gear is great! I used to travel with more heavy stuff (Sony body, a couple of lenses, etc) but nowadays I try to avoid having too much equipment. In fact, I decided to travel as light as possible and to master one focal length. For the last 15 months, I’m having only my Ricoh GR ii with me and nothing else. Sure, sometimes I miss having extra lenses, but to be honest I feel so much better traveling light. The Ricoh weighs slightly more than 250 grams and it proved to be an ideal companion for my journeys. Unfortunately, its video capabilities are below average. If the new edition is capable of high-quality video, I will upgrade and I will keep traveling with just a 28mm lens. i got budget about 300$ but im kinda confused cause theres a lot of g-pro wanna be from chinesse market thats very cheap? should i bought go-pro or can u recomended other option? There are not many good cameras for diving under $300. Your best bet is to maybe look for a second hand GoPro. We always use GoPros for diving and they are great. Thank you for the great insights. We are planning a 6 weeks tour through Thailand, Malaysia and Indonesia and I am thinking about getting a waterproof camera (both for the humidity and also for some snorkeling). Any thoughts about the Nikon Coolpix W300? We are not going into deep water, so maybe the Panasonic Lumix FT7 / TS7 is a better choice? Your opinion would be highly appreciated. Nice list! Actually am planning to take Canon G7X as it is one of the best camera. Great picture quality and handy to use. Would be better if canon could have provided better battery life. Need recharging battery after about 1 hr of use including video recordings. Otherwise for performance it is a great camera. Sounds like a great camera Matt. We are glad you are happy with it. Great list. Looks like we need The Mavic 2 Pro. Thanks for the extra battery tip. Thanks a lot for your informative post. I love travel vlogging, and I usually make use of my iphone 7, but I would like to start using a camcorder or camera now. I’m looking for one that is reliable and produces quality hd videos and in the $300 – $400 price range. I’m using it mainly for personal every day vlogs and would occasionally upload on youtube or my blog, what would you recommend? Thank you. Also for any of your recommendations, would it also be able to take good pictures? Hi what are your thoughts on the Olympus Tough T-5. Not too sure. We have never used one. Maybe check out the internet for others reviews on the Olympus Tough T-%. Absolutely cool article! I own Nikon D90 by myself but I see that it’s high time to upgrade my gear kit. Heard a lot of positive reviews on Mavic Air and GoPro is a must nowadays if you wanna your photos look like eye-catching. Thanks for your comment Elis. All the best with the upgrade. The Mavic Air is definitely a better size for travelling. thing about the mavic air that i hate is that the camera can’t rotate into portrait mode. a use that a lot for aerial landscapes with the mavic pro and in testing the mavic air i really missed the feature. the workaround is to use the vertical pano feature and crop in post, but that’s just extra steps. the smaller size is definitely a plus though. currently i’m always torn on which one to bring on trips. We heard you with the size. 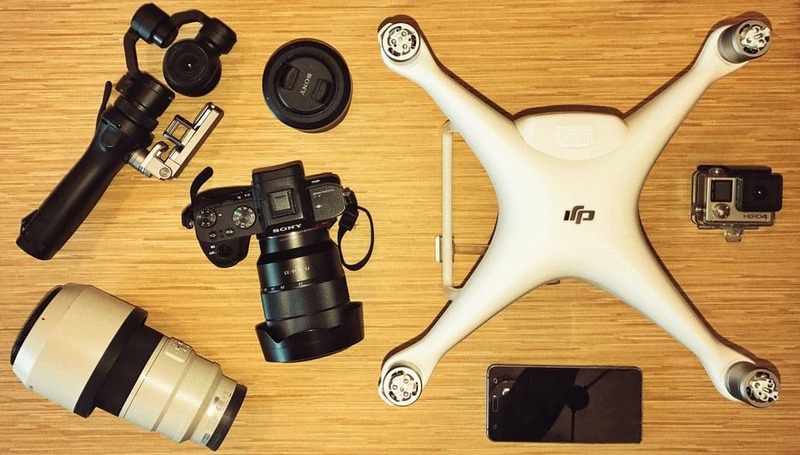 It is so much more convenient with travel than our Phantom 4. Definitely a bummer about the portrait mode. Maybe this may be an option with the next upgraded Mavic Air. The best camera for me, is always the one that you can quickly grab and shoot, especially when you are presented with the perfect moment. It could be a professional camera, or your camera phone, whichever you can grab fast and shoot. New phones nowadays, have become more powerful, and yet they’re only in the mid range cost. 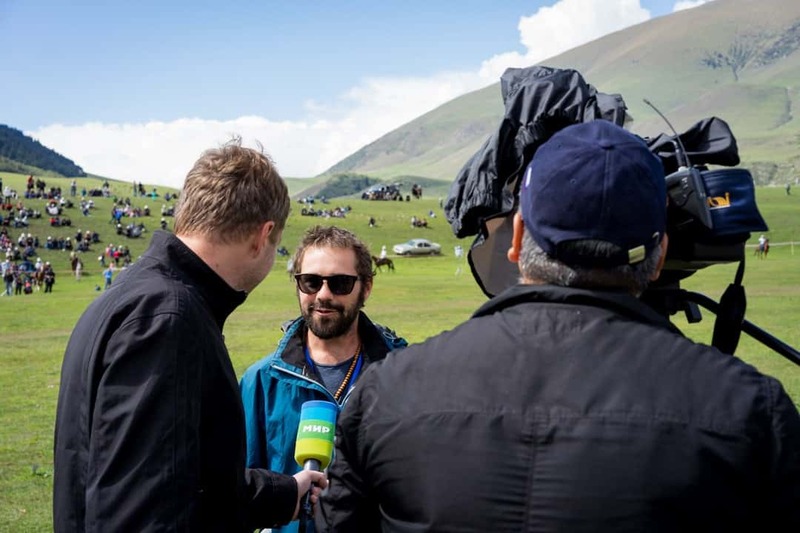 Professional cameras on the other hand can give you a wider range in terms of camera lenses. So, in all honesty, it really is up to you and your style. Do you prefer camera you can just grab quick and shoot, or something that you can take a shot even from a far? awesome article! I love it! Totally agree Bethzy. Photography is different for everyone. Some shoot on the phones and some have professional camera. Thank you so much. It’s really interesting to read! I just find out best cameras for travel. It ’s too good! Really had a great time. Is it Sony RX100V camera best for the travel? 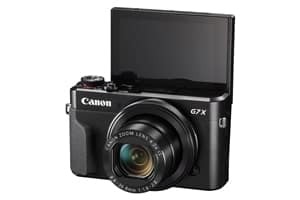 I personally use Canon G7 X for my travel. But I have face some problem. That’s why I want to buy Sony A6300. Can you personally suggest me on this! Hi Harris, how are you? Personally we have never used the Canon G7X for an extent amount of time. We have borrowed our mates and had no issues at the time. What are you using the camera for? If you are using the camera for mainly video then the A6300 screen doesn’t turn to face you. So it can get a little annoying not knowing if you are in focus or not. We used to have the Sony R100ii and loved it. The screen doesn’t turn on that either but I thing the RX100v does. It is compact, has manual settings and is a great camera. If it is for general photography with a bit of videoing, then the A6500 would be better. The A6300 does not have stabilisation and we regret not spending a little more for that as we do mainly video on our A6300. We shoot all our photos on our Sony A7ii. We do love our A6300 but you definitely need a tripod for filming. It shoots in 4k too which is also a great feature. Hey guys, i guess this is one of the finest travel articles written in its own niche, superb articulation & attention to specifics. Looking forward to such great content & inspiration. Now i know to filter out my camera for travel. (phew). One of the most intriguing aspect of travelers is the type of camera they should carry to capture the whole place. This blog answers each & every question a traveler should have in his mind. Keep it coming! Thanks Alesha and Jarryd! Great review. I am contemplating to buy the G7X as I’ve seen many reviews telling that it’s great for photography and vlogging. The only concern I have is that, there are few who have told me that dust easily gets into its lens. Is it true? And which camera you think is better, iphone 8 or samsung s8? Thanks! I’ll be honest, I haven’t read most of this article but I can relate with my own experiences! You certainly need something in the compact range. Sony AS7 mk2 with a nice 10-20mm lense is 100% a travel camera, possibilities are just endless. Thank you guys, this was very helpful! Thank you for the detailed suggestions, I use my Samsung s8 for my travel vlogs but have been looking for a dedicated camera for it. I do interview style vlogging. So your suggestions really helped me. I just bought the Canon SX720HS, and am curious, do you ever take prime lenses when travelling? I’ve seen some amazing travel pictures taken with Canon SX720HS. Amazing blog, keep up the great work! Thanks for your awesome article. I’m a beginner photographer. So I need a good photography camera. I want to buy Sony A6300 . Can you personally suggest which is the best for me? Dear Alesha And Jarryd, Thanks for this detailed post. I am using the Canon G7X Mark 2 for the last few months. It solves my requirements for blogging. Its nice that it is in your list. Hi Thomas, So awesome you have found a camera that meets all your needs. All the best and have fun shooting. The Samsung phone cameras are definitely better than the IPhone. I have both. One of the best DSLR travel cameras is the Nikon D5500 as it’s light and a fantastic camera. I don’t think so Mavis. We haven’t heard of anything like this. Sorry we couldn’t help. Wow great post, GoPro is my favourite camera to travel. It’s light and the videos are always good under good lightning condition. I like to take with me the pole accessory because I can use it in different occasions. I have an experience to buy GoPro Camera, top Photo-Editing software and many more products at an affordable rate, my best Ultimate Guide. What a wonderful article on cameras. This is very informative . Right from smart phone cameras to highly professional cameras, you have provided detailed info based on our needs. I know what i am going to buy now. Thank you so much. We are happy we can help. All the best with your purchase. Great recommendations guys! What about stabilizer for gopro? Although it makes great videos, without stabilizing it while hiking or really anything else, it looks too shaky and crapy. Great list guys, we have been loving the portability of our Sony RX100ii. This has been great at capturing memories from our travels. Thank you so much. We are stoked you are loving the RX100ii. We loved ours also. Definitely a great travel camera. This is a brilliant list. I have a Nikon DSLR which I carry and it is a little bulky, and I recently got a GoPro, but am looking at buying a Mirrorless soon in addition to a drone maybe which should be cool too right? Everyone has been suggesting the Sony mirrorless, so you feel that is the best bet around nowadays? Great article. I have the Sony kit you listed. I also have the 35 2.8 which is very light. My struggle is the 24-240 is heavy and I am looking for a possible alternative. The 24-70 2.8 is very large and heavy and the F4 version does not have the tele range. How about using the 18-200 APSC lens. It will be a 27-300 and is light but does it give up too much IQ? To be honest, we don’t have much experience with that. Have you looked DP Review? Maybe that might have more information. Sorry we could’t help you more. Great List! I agree do not use bad equipment for photography. It can spoil your all memories that you want to capture in your photographs. Thank you for very interesting material! I read it with pleasure. Thanks for the list! We are currently looking for a nice drone, something in the range of 600-1000 USD max – is there something you could recommend here? Also, it should be easy to carry. I have been looking but it’s really har to find – perhaps you have another tip? Many thanks, very informative post. I own a G7X and it’s one of my best buy in 2015 🙂 I am definitely gonna try the Sony A7Rii. First time here on your blog and it’s amazing! Really had a great time! Keep up the good work. Pretty much the same can be said about the 24-240 compared to the 70-200. The 70-200 is a much nicer and sharper lens, and the constant aperture is great (you can get some really nice bokeh even at F4 on it). But is it worth the upgrade if you have the 24-240? For us, personally, I would say no. Unless you are constantly shooting in the longer range, the 24-240 is a perfect travel lens and should be ticking a lot boxes for you.